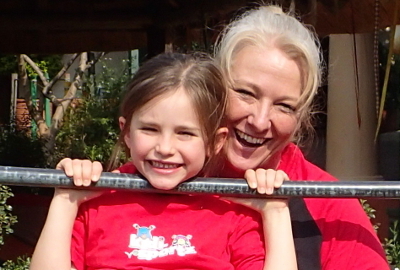 Abigail Botha, a qualified pre-school teacher, a level 2 gymnastics coach and provincial judge, designed the Kidi-Sportz Programme to develop gross motor skills, general muscle tone and a love for sporting activities in young children. Abigail developed the programme and presented it to an occupational therapist who was very impressed and endorsed the programme as being very beneficial to young children. The Sports Science Institute acknowledged that it encompasses all it claims to achieve and as a direct result we received our accreditation from the Supersport “Let’s Play” division. Our dynamic family of franchises are all passionate about teaching and helping young children to develop a love for movement and sports. We are all committed to creating a new generation of well-rounded, enthusiastic and socially dynamic children. We have been in operation since 2003 and are growing our business continuously. Our aim is to enrich as many children’s lives as possible. We believe each and every child is important. Our motto is making a difference, one child at a time.